Although it doesn’t feel like it, spring is here! It’s time to whack off the winter woollies and whip out the warmer wardrobe, exchange your knits for your jean jackets, your polo necks for your culottes, your blacks, and greys for brighter shades. 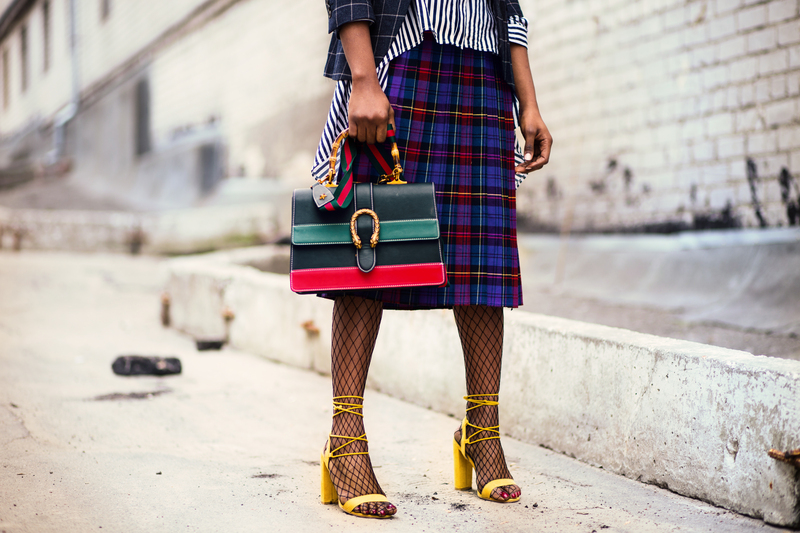 Transitioning from winter to spring fashion can be tricky, especially with the temperamental British weather. The days are getting longer and the sun is beaming brighter, however, the crisp winter air is still lingering, so how do you dress for this weather? My first top tip is: be comfortable. We’ve all been there before, prematurely whacking out the miniskirts as soon as the sun comes out, only to find yourself covered in goosebumps shortly after. A great way to look AND feel good is to pair a mini skirt with a pair of tights, this seems like an incredibly simple tip, but it makes a world of difference. My second piece of advice is to layer clothes, whether it’s an extra jacket under a lightweight coat or a top and shirt combo, layering looks stylish and keeps you from getting too cold or too warm. 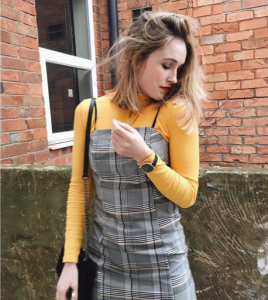 My favourite way of layering an outfit is putting a jumper underneath a sleeveless slip dress, not only does it dress down an outfit but it’s bang on trend for this spring. Now it’s time to talk about culottes. 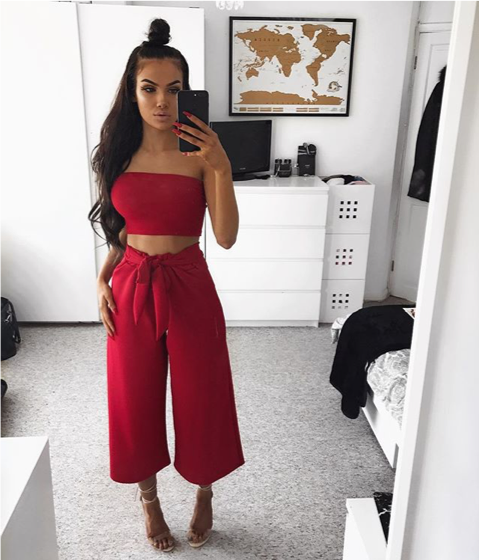 Typically culottes are knee length wide leg trousers, however, culottes can be considered an umbrella term for a number of different styles. There are knee-length culottes, ankle grazer culottes, denim culottes, frayed culottes, even corduroy culottes. They are a great way to transition from winter to spring as they are so lightweight and airy without having to bare too much skin. We all love our blacks, greys, and neutrals for winter so adding pops of colour to your wardrobe is a great way to start dressing for spring. 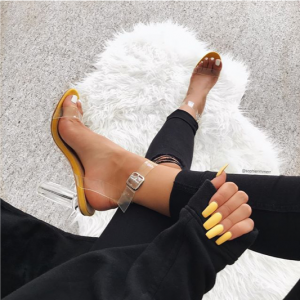 I’ve been loving yellow accent pieces at the moment, whether it’s a cropped jacket, a pair of shoes, or vibrant accessories. Denim really doesn’t go out of style. It’s versatile, classic and easy to pull off. Double denim, however, is a little trickier. 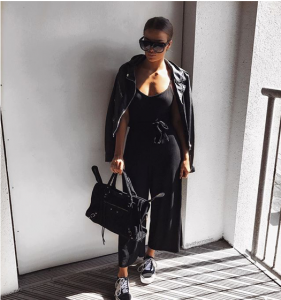 I’m a believer that you should be able to wear whatever you want without fear of breaking any ‘rules’ of the fashion world because style is unique. A great way to pull off double denim is to wear coordinating colours – think 2001 Britney and Justin. India Moon (see below) does this by wearing a Topshop denim orange co-ord. By matching the denim the outfit looks far more put together rather than a patchwork of mismatched shades. Although supposedly it should be getting warmer now, I’m still holding on to my chunky knit jumpers. A knit jumper dress is a fab way of looking good but still staying relatively warm when paired with thigh-high boots. Adding sunglasses also seems to trick people into thinking it’s warmer than it actually is. I’m loving this one from In the Style from the Pia Mia collaboration, it’s perfect for spring. So that’s it! That’s all the tips I have for spring style but remember looking good is all about feeling good, so wear whatever the hell you want.